It's Sana! ^^ Wearing a cute little mask of Hayama. 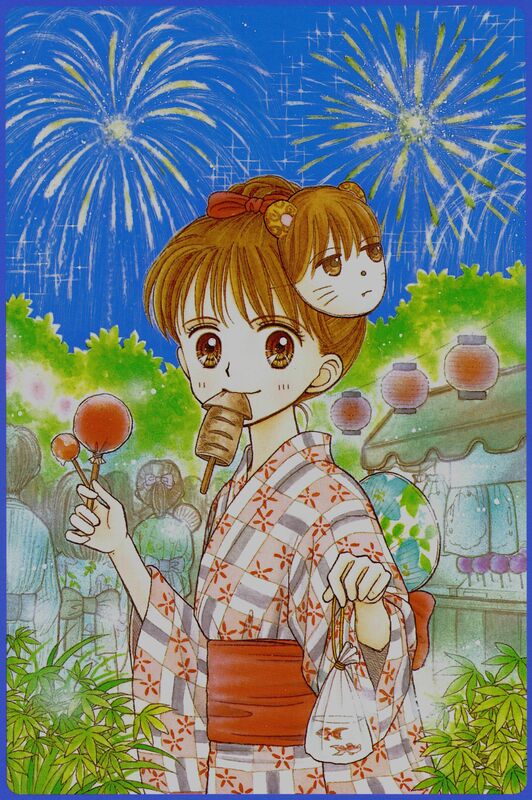 She's at a summer festival? The picture is from a post card that I purchased a while ago. The back has a picture of Sana eating cotton candy on the bottom right and her mom's squirrel on the top left.